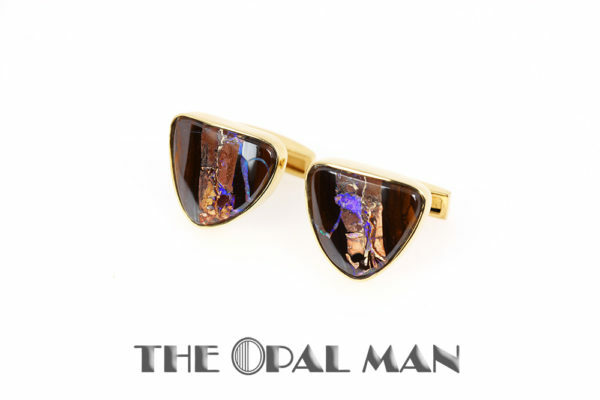 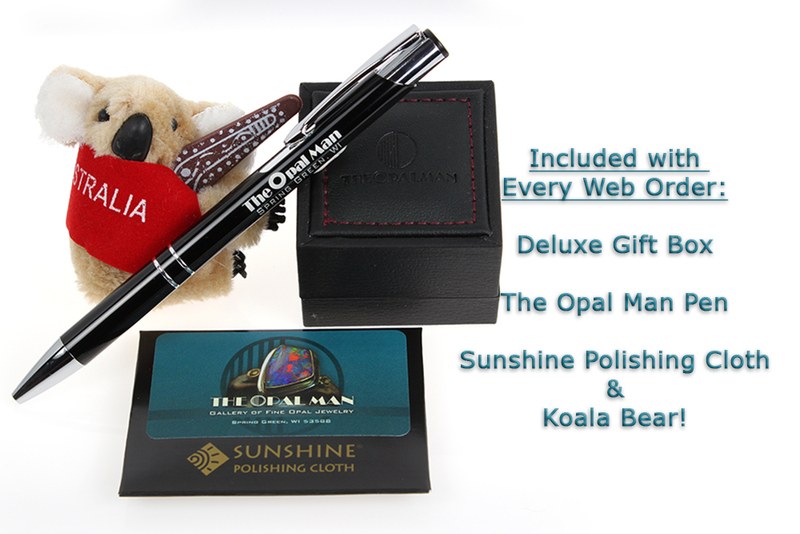 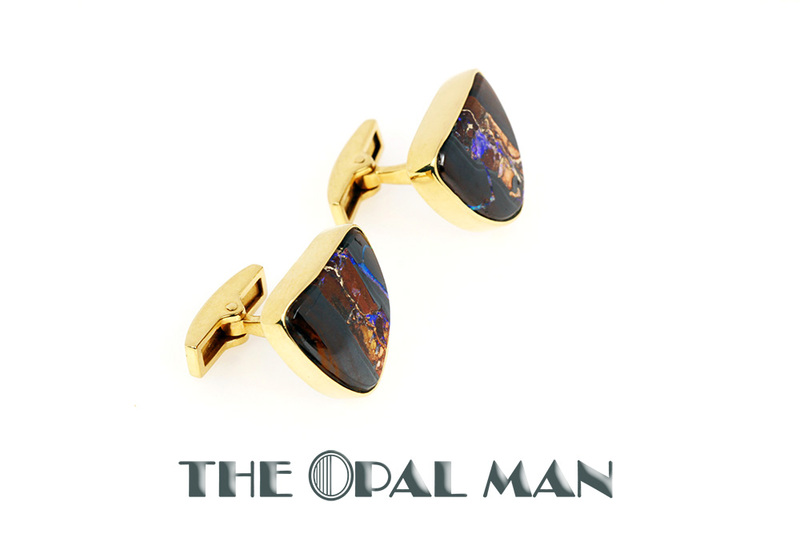 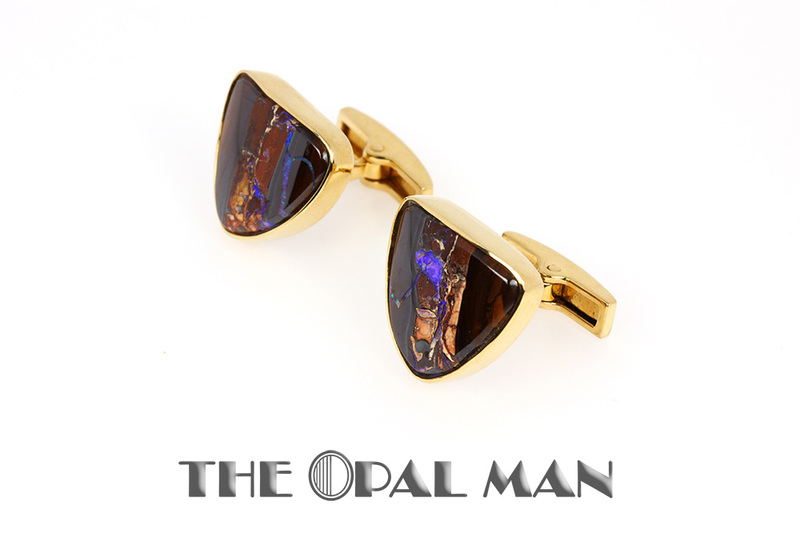 Australian Koroit boulder opal cuff links in 14K yellow gold. 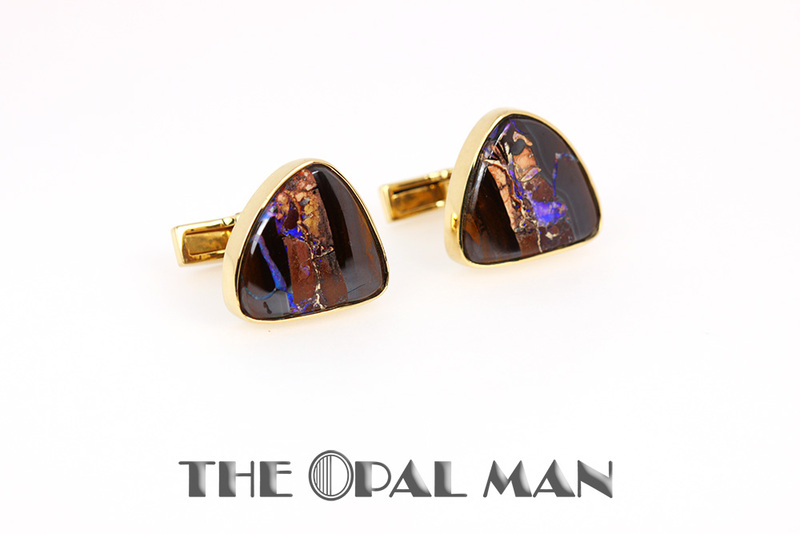 For the gent who has everything! Bright purple striping and organic patterns in these triangular form Koroit bolder opal cuff links. 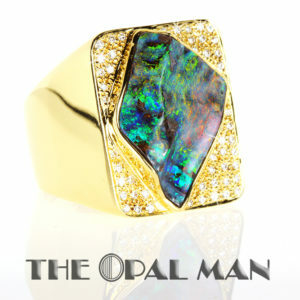 Well-made and eye-catching.